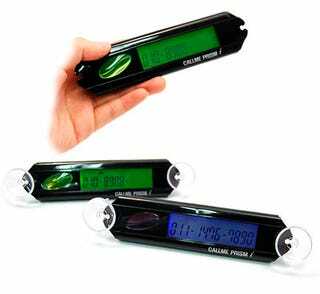 What only can be assumed is a device to pick up ladies on the interstate, the Callme Prism is a small LCD display that can attach to a windshield and display up to 10 different phone numbers. This is great for those times that you want to snag some highway lovin'. But if youj're on the receiving end of that amorous messaging, do you really want to be dating someone who owns a device that's sole purpose is to display a phone number to the world?